Today sees the release of Aldi Wagyu burgers in their stores nationwide. They are part of the Aldi “special buys” range and are only available while stocks last. All I can say is get down there sharpish. They are going to disappear off the shelves as fast as the Wagyu steaks – sold by Aldi last summer. 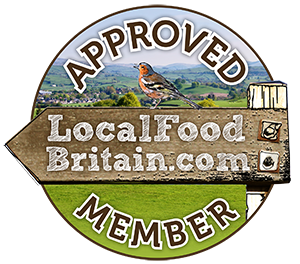 These specially selected burgers are produced from grass fed cattle in New Zealand and are available at a sensibly priced £2.99 for two mammoth burgers, the type you normally only find at the coolest street van or most fashionable “no bookings taken” burger joint. I was lucky enough to receive some of the wagyu burgers to try for myself before their official release and they are definitely a burger worth seeking out. Tender, satisfyingly plump and juicy with a natural earthy sweet flavour. I could not believe how easily my knife cut through the meat with even the lightest of touches. They are a burger equivalent of a freshly baked, just out of the oven scone. The meat melts into bun disappearing all too quickly. I find it impossible to eat a burger slowly, especially one as good as this. Smashed avocado and candied bacon were the partners of choice for my Aldi wagyu burger along with some oven baked smoked paprika onion rings. These are perfect accompaniments to pimp the burgers to the heady heights of burger perfection. The only dilemma would be to enjoy it with a dollop of ketchup or mayo. Also make sure you choose a good brioche burger bun. 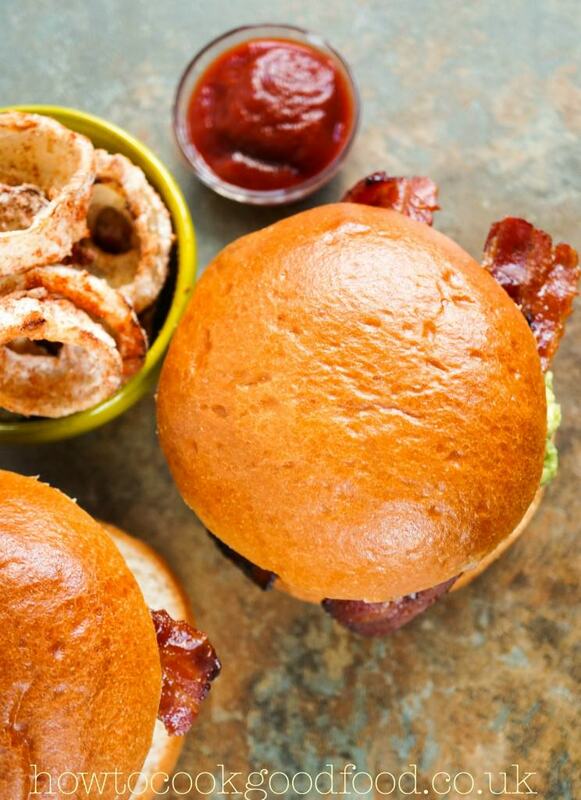 A good burger must be served in a beautifully bronzed bun, like these ones which Aldi also happen to supply, again from their “Specially selected” range. Remember to be quick, the burgers are released today 5th March. Don’t expect them to be there for long. Disclosure: Recipe commissioned by Aldi. All opinions expressed are my own. 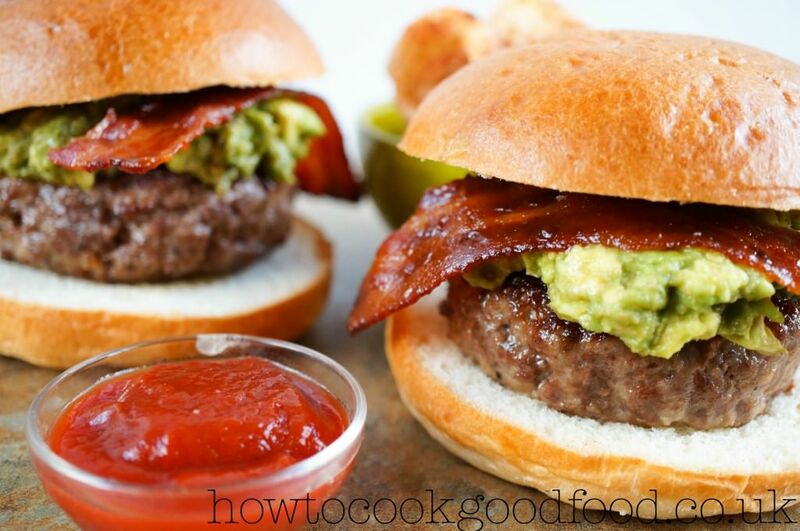 A juicy, tender Wagyu beef burger served with avocado & bacon. After 30 minutes remove from the oven, sprinkle with the smoked paprika and eat with the burger. Scoop the avocado flesh into a bowl, season well, add in the lemon juice and the chilli (if using) then set aside. Transfer the bacon to a lined baking tray then bake in the oven for 25 minutes until it is beginning to brown around the edges then set aside. 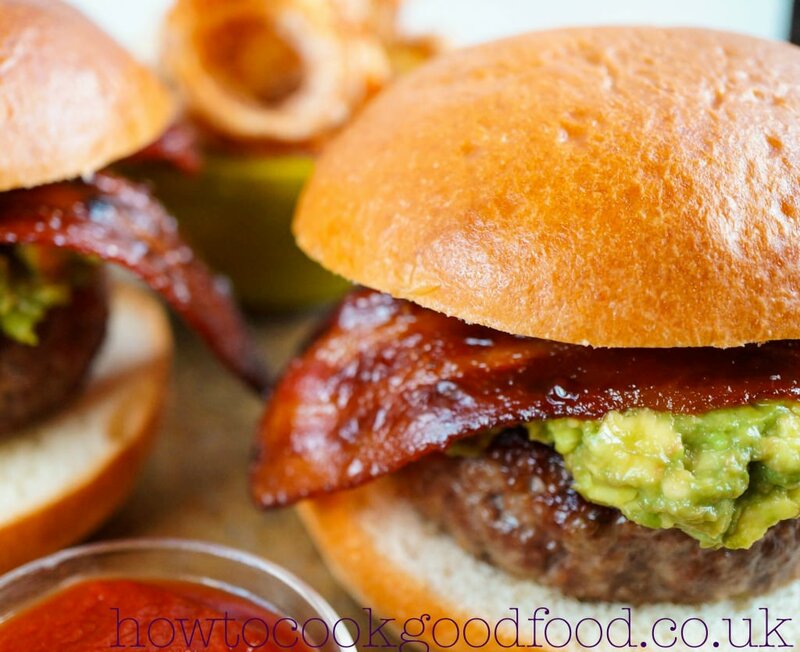 Remove from the oven and place the burgers in the brioche buns, to with smashed avocado and candied bacon. Serve with the onion rings and sauces of your choice. You could soak the onions and marinade the bacon the day before but prepare the smashed avocado at the last minute or it will discolour - even with the added lemon juice. There will be leftover candied bacon which you can enjoy over the next day or two. It is also good with eggs or in salad or as part of a sandwich filling. 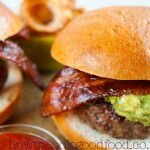 Oh my these burgers sound and look totally scrummy, my family would absolutely love them:-) Must look out for these when I’m next in Aldi! I know Jeanne, we should have one opening up in the next month or two very near to us, looking forward to it, the prices are so low! Wish I’d read this earlier today, we popped into our local to look at gardening stuff. 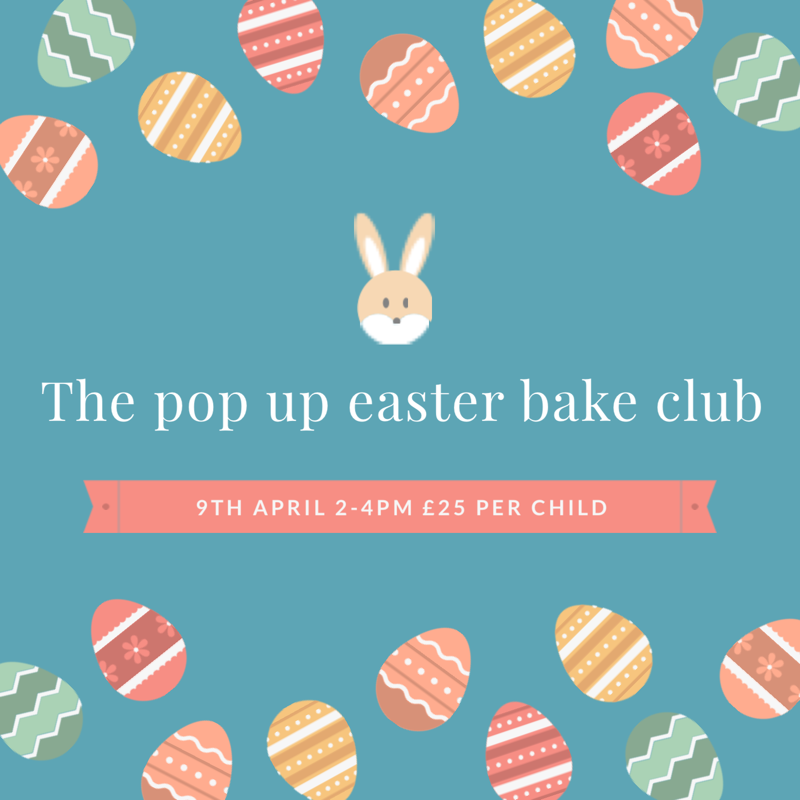 Week pop back tomorrow! I really love the sound of these burgers as does OH drooling over my shoulder. I had no idea Aldi sold wagyu burgers, must try and get hold of some as they look so good especially with the bacon and avocado, yum! They are Jen, hope you find some! They looks stunning. The colour on everything is making my stomach rumble. Thanks Emily, burgers like this are so tempting, hope you get your burger fix soon! Your recipes are always so inspiring, and I can just imagine my husband and children really enjoying these, now where is the nearest Aldi? Jude, there is one opening near me soon, so come over to mine and we can go together!